Higgins Storm Chasing has predicted an east coast low. THE Bureau of Meteorology is predicting significant rainfall at the weekend - but says Queensland won't cop the brunt of an east coast low. Higgins Storm Chasing has warned of an east coast low that will dump rain on NSW and "the southern half of Queensland". However, Bureau of Meteorology forecaster Gordon Banks said while an east coast low was expected off the southern NSW coast, the sunshine state should escape the worst of it. "Heavy rain is certainly possible with strong winds before and blustery winds after," he said. "But an east coast low (for Queensland), no." Mr Banks said while the weather had been showery in the Wide Bay, the wettest was yet to come. 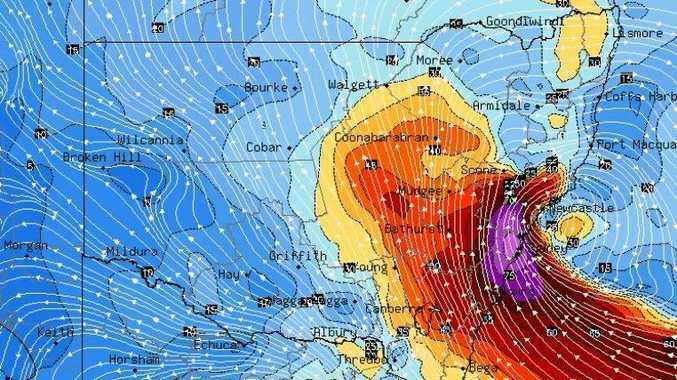 "At the moment we've got a strong high pressure system over south east Australia, extending a long ridge across the east coast of Queensland," he said. "Tuesday and Wednesday should see strong winds about the Torres Strait and Fraser Island, easing Thursday and lighter on Friday and Saturday. "Friday and Saturday are the best days for getting out on the boat." Mr Banks said things were bound to get a little more interesting moving into the weekend. "That is when a relatively strong upper trough is expected to come through, with showers and rainstorms across the southern interior," he said. "On Sunday we'll see some rain areas moving across from the west across the Wide Bay district. "There is some potential for some significant heavy rainfalls, in the Bundaberg area, it may still be a little wet by Monday morning." Mr Banks said it was a faster moving system than the one that dunked heavy rain on much of Queensland and NSW earlier this month. "It is a different system. It looks like it'll be a burst of rainfall then it'll be gone," he said. More than 50mm of rain is predicted for coastal areas from Rockhampton in the north, along the coastline to south of Sydney. 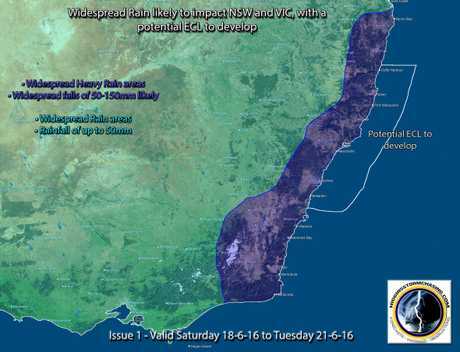 Higgins Storm Chasing predicts rainfalls of between 50mm and 150mm this weekend. Mr Banks said next week should be cooler and drier. "Monday morning a westerly wind change will be coming through with drier winds," he said. "Before lunchtime Monday, we'd expect the westerly change and that'll bring some cooler, drier air and the rain moving to the coast." Heavy rain in Bundy CBD: Footage of rain as a storm pelted down on the Bundaberg CBD. Winter temperatures are expected to be closer to average next week, after sitting about eight degrees above average. "We certainly could see temperatures getting to 10 degrees on the coast and five to seven degrees inland," Mr Banks said. There is a potential for healthy to significant rainfall across large areas of NSW and the Southern half of Queensland across the weekend and into early next week as another severe weather system moves in. A trough is forecast to be situated across western and south-west Queensland during Saturday, extending into central and western NSW. This trough is forecast to interact with an approaching strong upper level trough to draw in strong moisture off the Coral Sea and Pacific to produce widespread showers and rain areas along with isolated storms over south-west Queensland. 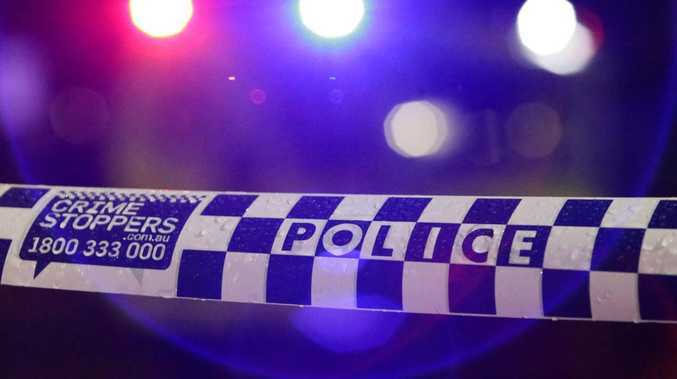 Showers are expected to be light on for NSW but should increase during the evening.